As the date for Legalization for Recreational Cannabis approaches, there are still many people who do not know what the laws are, or what the penalties will be. And more confusing are the laws that pertain to Medical Patients who were awarded the right to grow their own medicine. If it was not for the court case that John Conroy won for Neil Allard, I do not feel that Recreational legalisation would ever have happened. Its important that every recreational user knows how big the legal fight was and how many people who have fought for this right. We have gone from MMAR, MMPR, ACMPR and now the Cannabis Act. Before the MMPR there was the Marihuana Medical Access Regulations (MMAR) legislation. Under this program patients were provided with an Authorization To Possess (ATP) license and could source their marijuana from Health Canada, grow their own, or designate someone as their grower. The name was again changed to ACMPR which stands for Access to Cannabis for Medical Purposes Regulations. According to John Conroy, the lawyer who successfully won the Allard case which grandfathered over 28,000 patients – it will continue until further order of the court. 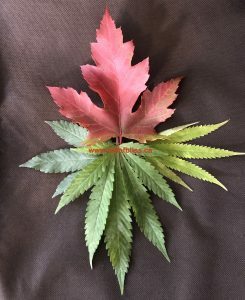 As it stands with legalisation, the Government is forcing patients who do not have an ACMPR to buy from LP’s (licensed producers) which are listed on the Government of Canada website. The Ontario Cannabis Store will officially open on October 17th and is the only other option, but it is online. To order you must have a credit card which many people do not have. For those who are already using Cannabis or are newbies, there is no retail store available to get advice on strains. For Medical purposes it is important to choose the right strain depending on your medical needs. For instance, you shouldn’t be using a Sativa if your being treated for anxiety, and if you have Cancer, you need full spectrum Cannabis which includes THC and CBD. Unfortunately, there are thousands of professionals who have operated dispensaries all over Canada who should be the ones to educate the public. But it appears their experience is not being utilised. Dispensaries are being closed down, Patients will suffer and the Government will retain a Monopoly until next year. “Some of Canada’s biggest licensed cannabis producers … are stealthily working behind the scenes to ensure they have a position of power in cannabis retail in Ontario,” Lepine told a legislative committee looking at the bill last week. He said the government should not give large producers an advantage that will allow them to dominate the retail side and shut out small businesses. Lepine cautioned the government against allowing what he called “a Beer Store model” — giving the big breweries control of retail and limiting craft breweries’ ability to reach customers — to take shape in the cannabis industry. And all the legal ways you can consume Cannabis But it does not appear to mention that Medical users come under a different ruling. In this article it is disappointing to read about Cannabis clinics in the USA. Canadians are hungry for information that relates to Canada only, or more specifically Ontario. And then there are the Polls?? I have never been asked to do one. But apparently 4 in 10 say the price will define where they buy it. The Black Market or Green Market as we like to call it, will never go away. City News spoke about the difference between the legalization in Canada compared to Colorado The use of Cannabis overdose was used wrong in this video as most Cannabis users know that it is called greening out, and it is attributed to not being educated enough when using edibles. This is something that needs to be addresses, as many people can not smoke and will be looking at edibles as another source to help them with their medical conditions or the recreational user.